Your Local Plumber in Nelson? McMurray Plumbing is a reputable company that offers fast and affordable solutions to all your plumbing needs. We are a team of experienced plumbers committed to providing exemplary services to all our clients. We have the necessary skills and expertise required based on the fact that we have been doing this for the last 15 years. At McMurray Plumbing, we have cultivated a culture of integrity and excellence reflected on all our services. Feel free to give us a call today on 0400 400 200 and get your tailored quote. 1. Gas installation and inspection-Our certified gas plumbers will hook up your gas cooktops, gas bayonets, gas heaters and gas stoves. We also move your LPG bottles and place them in place. We are also licensed to conduct inspections in cases of gas leaks and offer the necessary repairs. 2. Emergency plumbing- From gurgling toilets to smelly clogged up drains and sinks, McMurray Plumbing will unblock them all. We have an emergency team ready on call to respond to your needs. Reach out to us for all your blocked toilets, sinks, bathtubs, drains and sewers. 3. 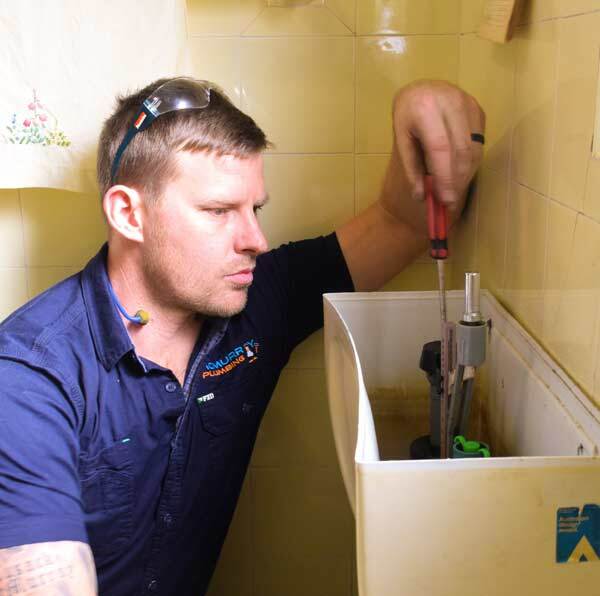 Water Plumbing- We offer burst pipes repairs, leaking taps, sinks and basins repairs, pipe location, pipe relining and bathroom refurbishments. We also install new sinks, taps, showers, and bathtubs. 4. Hot water installation- Our plumbers will hook up your gas or electric hot water heaters. We are conversant with the major brands such as Rheem, Dux, Aquamax and Bosch. ✔ Excellent services you can rely on. For all your plumbing works in Nelson, feel free to contact McMurray Plumbing on 0404 400 200. You can also leave us an email at steve@mcmurrayplumbing.com.au.